I’m pleased to have a guest for TKZ today. 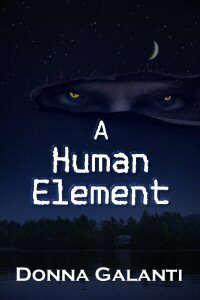 Donna Galanti is the author of the paranormal suspense novel A Human Element (Echelon Press). 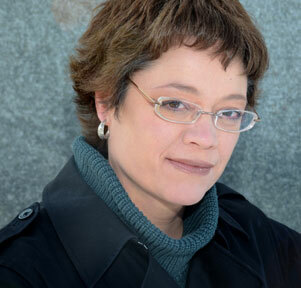 She is an ITW debut author of the class of 2011/2012 and a member of SCBWI and Horror Writers Association. She lives with her family in an old farmhouse in PA with lots of nooks, fireplaces, and stinkbugs but sadly no ghosts. Watchers. My favorite fictional figures that hover on the sidelines weaving in and out of the story. They change lives. You may know them as guardians, guides, mentors, or allies. They help the hero on his journey by blocking them, guiding them, or even saving them. They can be a mysterious and dark overseer or a jolly and light eccentric. They ultimately save the hero or motivate him to save himself. In my suspense novel, A Human Element, I created The Man in Black (Felix) as a watcher. He is a guardian, a guide, and a hero. He connects to both the earthly and the other-worldliness in my characters. Sometimes Felix is there, like a lifeguard, and sometimes he’s watching and you simply sense his presence, more like a god. In the end he suffers and is a martyr for the greater good so his people can go on. How did Felix evolve and how do I perceive his function? He evolved as an instrument of light to help others survive so his own world would survive. His presence allows me to push the protagonist truly beyond the brink and eventually be saved. He also represents hope and acts as a catalyst to keep hope alive. He is like a god because he changes the destiny of others for a greater good (an entire people). And, like a god, he chooses not to always interfere unless it’s for the greater good. In a way he is a mythical figure. My favorite mythical watcher in fiction is Merlin from the Arthurian legend. He’s a man of mystery and magic with roles as a sorcerer, prophet, bard, adviser, and teacher. In Mary Stewart’s Merlin Trilogy, Merlin is an ordinary mortal but one with intuitive intelligence and clairvoyance. He has foreseen that Arthur will become a great king who will unite all of Britain. Just as Felix’s mission in A Human Element drove him to facilitate a child’s creation to carry on the line of his dying people, Merlin’s vision led him to facilitate Arthur’s creation as well. I like the idea of connecting medieval to modern times knowing that Merlin and Felix share the same mission. They both originate as earthly and mystical watchers who change destinies so their people may conquer. And don’t we, as authors, often look to the past to create something new in the present? It appeals to me that often the watcher figure is a hero too, willing to sacrifice his life for the one he oversees. He gives the protagonist what he needs to finish his journey and outwit death, and in doing so may need saving himself. Literature is full of such heroes whose actions require that they, too, be saved. Like Arthur “Boo” Radley in Harper Lee’s To Kill a Mockingbird. He’s a mysterious character we slowly get to know. At first, perceived as a dark, ghostly figure he ends up saving the children, Scout and Jem. He’s a self-exiled loner who appears as needed to save the children from evil. In the end Scout and Jem save him back, providing justice for Boo. One of my favorite authors, Dean Koontz, is known for his watchers. In his book, Lightning, Stefan Krieger is a watcher hero who needs saving himself. He’s a time traveler and a guardian of Laura since she was born. He interferes when necessary to save her life many times. In doing so he changes the course of her destiny for good–and bad. His fate eventually interweaves with hers until they are caught in a life or death situation. He saves Laura, but in the end she saves him too. I can’t forget my beloved animal watchers in fiction. In Watchers (great name!) by Dean Koontz, Einstein is a genetically altered golden retriever with human intelligence. He’s also saved by the couple he watches too. Escaped and on the run, Einstein acts as a guide to bring these two lonely people together and transform them. He becomes their guardian inspiring them to save him from his nemesis, who in turn watches him. Check out other fictional dogs in literature HERE, including my favorites, Buck and White Fang. I didn’t realize I had an obsession with watcher figures until pulling book after book out from my shelves. And then I knew why. I adore tormented characters and that’s often what watchers are. And that’s why I write them. They are wounded heroes that travel with us to the dark side and help draw us back. They may not always save the hero by their own hand, but at that critical moment they drive the hero to take control of his own destiny. And sometimes the watcher needs saving right back. Do you have favorite watchers from other books or movies? What “saves” you, as author, when you’ve spent too long on your dark side? Do you have a “watcher” to help pull you back from the dark side and save you? This entry was posted in Dean Koontz, Donna Galanti, Echelon Press, Harper Lee, ITW Debut Author, Jordan Dane, paranormal, suspense, TKZ Guest, Watchers by Joe Moore. Bookmark the permalink. Dr. Who is one of my favorites. I have a character in the book I’m working on now that could be considered a watcher. I like characters who know far more about what’s going on than everyone else, but there has to be a reason why they can’t reveal it. Otherwise, it doesn’t make sense. Welcome, Donna. Great to have you at TKZ. One of my favorite watcher characters was in The Book Thief, an amazing YA by Marcus Zusak. It’s the story of a 14-yr old girl during the Holocaust, narrated by Death, the ultimate watcher. He doesn’t intervene. He only does his job, but seeing the girl’s story unfold through his eyes during such a dark time is a profound experience. I can’t get that beautiful book out of my mind. Thanks for your great post, Donna. Are you working on a new project? Welcome to TKZ, Donna, and congrats on your debut novel. Thanks for sharing your “watcher” insights with us. My favorite watcher is probably Dr. Watson, a highly complex character whom we get to know in drips and drabs as he moves around Sherlock Homes trying to protect the detective from his own intellect. This is an interesting concept I hadn’t thought about before. My own watchers are my critique group partners, who provide the motivation and support needed in this business. Welcome, Donna! Great to have you here at TKZ. And it was fun seeing you in NY for the big debut. I like that term, Watchers. My favorite kind is the one who acts as a guide, to tell the Lead things he or she needs to know, often about what changes need to be made. And, of course, we’ll all be watching you and your career, which is off to a great start! Thanks for the welcome words Joe, Nancy and Jim! Joe, I had not thought of Dr. Watson as a watcher but he indeed is. What would Sherlock be without him? And Nancy, you make a great point about our supporters being our watchers in real life. They guide us, are in the shadows at times, but always there to steer us right and shed light on the path we are heading down. Jordan, good perception about the Book Thief narrator, Death, being a watcher. Hadn’t thought of it that way before! Reading this makes me think that maybe the Wicked Witch of the West is a watcher—her crystal ball allows her to see all, and the pressure she puts on Dorothy certainly spurs her to action. And she’s tormented, for sure. I love the Watchers on the TV show Fringe. Again, [bald] men in black suits. We don’t really know why they’re there, observing, trying not to intervene. That question mark adds real interest to the show, I think, especially toward the end of this last season. In the midst of some life-threatening episodes 45 years ago, a dark figure stepped from the shadows of a dream to announce that I had nothing to fear and everything would be OK. Maybe that was Death. Whoooo! Donna, very interesting way to think about characters. You give your watcher (Felix) God-like qualities. Can watchers ever be evil or have evil intentions? For example, In Audrey Neffenegger’s Her Fearful Symmetry, Elspeth, aunt to her twin nieces, watches them from afar until her death, when her spirit watches over them. The outcome of her watching does not end well for the twins. Good luck with A Hidden Element! Kathryn, now I cant wait to dig into The Book Thief. Death as a watcher is right up my alley. I havent caught Fringe yet…but with a name like that there’s bound to be watchers. Wicked Witch -good one! Jim, you echoed Death as a watcher too. I guess that’s one that’s there always waiting. I just finished Jim Browne’s excellent The Paradise Prophecy with many watchers – good and evil battling over the war in heaven coming to Earth. Howdy Donna, and welcome to TKZ, a place for us all to come and discuss how we’d capture serial killers, fight murderous terrorists, plot a global takeover, and exchange interior decoration ideas and crepes recipes. On the point of Watchers, I’d say my all time favourite Watcher is Alfred, Batman’s Butler. He has to know everything Batman knows, be able to maintain all the equipment and support the man himself, yet always stays back in the shadows like a coach and mentor. Hey TKZers, I need some help. My next thriller, MIDNIGHT SUN, comes out in September and I’ve got a few cover ideas I’m juggling. Check them out at my facebook page and let know what you think/ make suggestions, etc. Hi Basil, it is so funny you mention Alfred as he was on my list! I had a few but had to narrow it down. I agree completely. Alfred is Batman’s guide, mentor and a bit of a hero too. Tori, oh yes, watchers can indeed by evil. I mentioned Watchers by Koontz and The Outsider in that watches Einstein with the intent to hunt him down and kill him. In a way like the villain, X-10, does in my novel A Human Element too. Thanks so much for being our guest today at TKZ, Donna. You’ve been such a great supporter on Twitter and Facebook for our TKZ posts. Savvy authors would do well to “friend” you online, but especially in person. You truly support authors in a generous way. Congratulations on your debut and best wishes for your sequel. Great post, Donna. Einstein ia also one of my favorites! T.C., great to hear! I am a dog lover, and Einstein especially touched me. I just re-read White Fang and Call of the Wild as those two dog stories especially affect me. Jack London has a way of being repetitive, but I enjoy it as his stories are so rich and anguishing, but full of hope too, that I don’t want them to end. Jarvis from Marvel’s Avengers comics (the human butler, not the AI from the movies) basically Marvel Comic’s answer to Alfred. And Uatu The Watcher, also from Marvel Comics, an extremely powerful being from a race who are duty bound to watch but never interfere, yet has managed to save the heroes on many occasions. My favourite being the time he helped the heroes using the observer effect. Merely by being there, the villain changed his plan because he assumed The Watcher was here to see him win. i haven’t read any of your works before can you suggest where i can start?